A parent’s reaction to their child staring at someone with a disability might be to tell them to look away. But a DC mom is launching a campaign next month urging parents to let their kids ask questions, just as long as they smile. Lollipop Kids Foundation founder/director Debbie Sahlin’s disability awareness and inclusion campaign is called Smile, Don’t Stare. It’ll offer a curriculum for parents and teachers and workshops for businesses in disability etiquette and awareness. 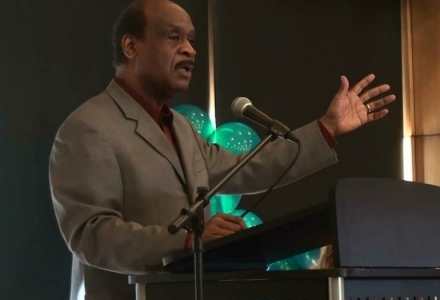 The program launches next Tuesday in Montgomery County, Md., with the support of county exec Ike Leggett. Lollipop Kids also hopes to publish a book to teach children about disabilities but still needs $15k. The foundation just hosted a gala to raise money for the campaign and has received support through grants and individuals. Debbie was inspired by her son Ryan to start the foundation four years ago. Ryan suffered a traumatic brain injury as a young child and is now living with profound disabilities. Lollipop Kids runs a 2,500 square foot therapeutic center in Rockville, Md., where families can use special exercise equipment and find support groups. The foundation also organizes family field trips like accessible sailing and offers free durable medical equipment to families in need. The foundation has served over 700 DC-area families since its founding.